This dynamic therapy offers the combined benefit of a full reflexology treatment, plus the stimulation of all the major meridians in one half-hour session. Although Reflexology and Acupuncture are effective as separate treatments, practical experience has shown that when balancing the acupuncture meridians in conjunction with foot reflexology, the result is faster normalisation and healing throughout the body. 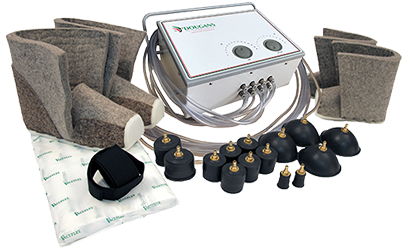 Dougans International has been producing and selling the Vacuflex Concepts for nearly 30 years to qualified Reflexologists and Practitioners around the world. We have recently launched a new and modernised model which was developed in Denmark. 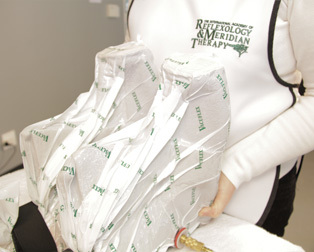 This therapy produces amazing results and is a fantastic accessory to any practice.